(CNS): A Grand Court judge has stated that he believes the legal driving limit on alcohol in the Cayman Islands is too high and needs to be reviewed. Cayman has one of the highest levels of tolerance for alcohol and driving in the world as drivers are permitted to have 100mg of alcohol in the blood before they are considered to be legally incapable of driving. In the UK, most of the United States and Canada the limit is 80mg but most of Europe is lower, at 50mg or even less. As a result of the high number of accidents in Cayman where alcohol is involved, Justice Richard Williams said the time may have come for Cayman to review the limit. The local judge was passing sentence in a death by dangerous driving case before him Thursday in which alcohol was involved when he pointed to the fact that the driver was well over the local legal limit, which he noted was already considerably higher than most jurisdictions. Justice Williams said that Patrick Brooks-Dixon had been unsure about how much he had drank but admitted to having about six bottles of beer before the crash in which Dr Richard Martin was killed last year near to Lakeside Condos on the Esterley Tibbetts Highway. However, the judge pointed out that whatever the number of drinks, he was clearly over the limit with a blood-alcohol reading of 173mg. “I note with interest that the legal limit in the Cayman Islands is significantly higher than in England and Wales where it is 80mg over 100 ml and considerably higher than the majority of European countries where it is only 50mg over 100ml,” he said in his ruling. The judge pointed out that he must sentence in accordance with the legal limit here in Cayman but he explained his concern about the high tolerance in the law. “I mention the international levels due to the prevalence of accidents caused on the road in which a driver has been drinking. Iit may be that the time has come for consideration to be given to reviewing the levels having regard to the scientific evidence as to the effects of alcohol on a driver over 50mg,” Justice Williams said. In recent months the RCIPS has turned its attention to drunk-drivers and has been clamping down on what senior officers have previously described as an endemic problem. CNS has submitted questions to RCIPS management about their position on the legal limit and is awaiting a response regarding support or otherwise for a change in the law. Last month the education minister was charged with DUI after the car he was driving crashed into a ditch on the West Bay Road in the early hours of the morning. No one was injured in the accident and no other vehicle was involved in the smash. Rolston Anglin has refused to comment publicly on the matter as he says it is in the hands of the legal department and he does not wish to influence the outcome. He has, however, said he does not believe the charges will impact his position as education minister. According to scientific research, a blood-alcohol level of only 40mg per 100ml of blood begins toimpair concentration and increase the likelihood of a crash. How do you report a person that drives drunk everyday? Can it be done in an anonymous way? What can a person do when a loved one is drinking 20 beers a day and driving other loved ones? What about the night clubs closing at 1:00 AM instead of being allowed to stay open until 3:00 AM. I think the younger generation should be off the road by at least 1:30 AM instead of roaming all over Cayman. More importantly is that the Police do a much, much better job at interdiction/enforcement! I haven't seen a "speed trap" here in decades….and i do a lot of driving all over Grand Cayman. What i do see very often is Police driving around with cell phones and failing to signal at all. Police, School Buses, Taxis especially could/should be setting an example of safe driving practices…which include "signalling"…and putting away the phone whilst driving. And bring back regular "speed traps"!…and "enforce" current laws! We tend to "write" a lot of laws….most of which aren't worth the paper the're written on….as they are too rarely "enforced". Once again. GET US SOME PUBLIC TRANSPORTATION for a reasonable price. I work hard for a living. Want to enjoy a few drinks, then I return home to my humble little house in a taxi that completely rips me off. The next day i see the taxi drivers house and it a 750 000 dollar brand new home. Not only would it make things safer it would also help stop the theiving taxi drivers! If a minister cant afford a taxi home how am i supposed to. Apparently the consumption of alcohol a considerable distance from one's home has been elevated to a fundamental right which is more important than the safety of others. Says a lot. A single glass of wine with a meal will not put you anywhere near the legal limit. The issue here is the person who goes to the bar and takes a few shots or 1/2 doz beers. These taxis run on Gasoline at $6.00 a gallon. The people that are complaining about taxi fares in Cayman are coming from places where gas is probably half of that or places like London where taxi fares are subsidized. Your friendly Cayman cabbie is probably not the vehicle owner and is paying owner a substantial cut. Do the math and see who is living in the ivory tower. I respect this factual post above all else. FORGET all the people who dont want the younger generation to Live and Enjoy life their own way. Same old things they did roam around, sleep around, you name it! Thats why they have so many damn children that they cant RAISE UP "PROPER" now…and half cant afford to pay thier incidentals…they think their so sweet. Get a grip mate. WE opperate at a different pace. The world stops for no one, why should we stop for some peoples selfishness? Not fair to those who are use to drinking that amount (100mg) and going home without any harm or injury done. yer juiced right now aint cha bobo? We don't need no education eh? In Jamaica the limit is .35. My opinion is that if a person is convicted for three DUI charges, their D/L should be confiscated because they don't really need it. Off by a decimal point there. 0.35 would be REALLY wasted! "The law states that the legal alcohol limit is 35 microgrammes of alcohol in 100 millilitres of breath or a blood alcohol level of 80 milligrammes of alcohol in 100 millilitres of blood." I got a cab from Calico Jacks to near Sunset House on Saturday night 2/6/12, the driver picked up another fare and dropped them home on the way, said he would give me a discount for the inconvenience (I was drunk, so, whatever..). Resulting 50 minute cab journey = CI$40 after 'discount'. Solve the cause, don't only punish the effect. either the other fare lived in bodden town, the cabbie was driving 12.2 mph, or due to your intake of alcohol plus the impending transit of venus the earth was knocked off it's axis and time/motion stood still. Or… the fare was picked up on West Bay Rd, taken back up to somewhere in West Bay, then resumed the journey to South Sound. A 50 minute cab ride for CI$40 soundn't sound high at all. Nice of you to pay for the other passengers. 50 minutes cab ride. for 40 dollars, WHERE DID HE TAKE YOU T? RUMPOINT?? Maybe the police need to start doing searches in car with persons driving around with coolers! Thats illegal also to have an open alcohol container in the vehicle. A cooler is a container for the alcohol containers. So long as you are sober and the beer and wine are sealed in there and out of reach, you're good. I think you are wrong when you say it is illegal to have an open beer or bottle or rum in the car. Its also one of the most money makers for Government coffers along with work permit fees. WTH are you talking about?!? The fine is only $1000 which doesn't even cover half of the judge's time, let alone court's costs, police salaries, prosecution, rehab officers etc. This is not a money maker, it's a court clogger! Please do not reduce the alcool limit while driving. Driving and drinking and add speed to that and well I am certain you knoe the outcome.Alchool kills, promotes abuse in relationships and affect the children. Just imagine all the road deaths caused by alchool and speed in the past. Many are currently mourning and if you pass this you law we will loose many more. Drinking and driving KILLS. Simple as that and who cares what countries do , We're talking about our own righthere! That is exactly the point. Justice Henderson is saying that the limit for DUI needs to be lower i.e. you will be found as DUI after drinking LESS alcohol than the present limit. Hopefully it will reduce the number of accidents caused by drunk drivers – unfortunately those who will drive while drinking/drunk will continue to do it, matters not what the limit is. Wiliams not Henderson. More fundamentally, your post disgarees with itself. If those doing it will do it anyway irrespective of what the limit is, as you say, how will a lower limit reduce accidents? Arguably it may increase the number of people fined by police, but there is no evidence that the police are stopping a lot of people who are under 100mg but over some lesser limit. It seems the bigger problem is that with the exception of Christmas they are not making much of an effort to catch drunk drivers at all (and even then areusing pretty simplistic methods like roadblocks with flashing lights you can see half a mile off – you would have to be well over 100mg to drive into one of them rather than just stopping the car and walking away!). Surely any sensible solution here has to have a number of elements a) a change in social attitude, above all b) a credible deterrent effect where people believe they stand aserious chance of being caught and c) alternative transportation. However, given that as a society we seem incapable of dealing with issues that other societies would find unacceptable, like civil servants helping themselves to fuel at the publics expense, given the apparent inability of the police to deal with serious crime, and no obvious examples of any policy initiatives that deal with matters that are in the public interest but could be politically unpopular, like arresting ones friends and relatives for drink driving, I am not holding my breath. Without a comprehensive review of public transport, enabling the wide spread introduction of a regulated bus, taxi and ferry service, this problem will continue. There is no point in lowering limits if people find that alternatives to driving themselves are too expensive or too unreliable. This island needs a public transport system that is run for the public and not for the operators, giving the population the choice of whether to save money, the environment and ultimately their lives. Tourists could get around easier and without adding to the relentless traffic jams, opening up the whole island to those who don't want or can't afford to a hire car. The reliability and productivity of those who are forced to hitch hike would be raised and the need for a huge and expensive network of school buses reduced. Bermuda is a fine example of an integrated transport system that really works for all. It negates the reliance on hire cars, moves tourists and school kids around the island and keeps Co2 levels down. The ferry service joins many of the less accessable locations with the capital and is a busy tourist attraction in its own right. Buses are larger to accommodate the extra passenger numbers and travel on two routes, one Pink, (going west or clockwise) and one Blue, (going east or anti clockwise). With Cayman's simple road network, the same could apply here, but it MUST cover the whole island. This would require larger buses that have trained and well paid drivers, (hopefully qualified Caymanians) and regulated taxis and private hire cabs that must meet high standards of safety, driver training and capped fare policies. In addition, the introduction of a regular public ferry service from Cayman Kai to SMB must be considered to stop the regular Sunday 'drunks run' along NorthSide from Kaibo and Rum Point. Finally, why isn't there a regular, all day bus service from Cayman Kai to East End? Thousands of tourists are stranded at both locations due to the lack of cheap transport, give them the option and open up the tourist trade for both ends. Finally, although there is no excuse for excessive drinking and driving, the government must look at the driving standards in general on Cayman. It is sad and unpaletable fact that if someone is a bad driver in the first place, even a slight impairment by alcohol will end up badly. Unfortunately, driving standards ARE very poor and more needs to be done to correct the woefully lacking initial instruction and enforcement of road laws in general. Lowering limits is of course the right thing to do, but giving people the alternative to driving themselves must be a serious consideration and a goal of responsible government. As a tourist, I have been saying the above, for years as I have been travelling to GC for years. Each visit I rent a car for approximately $200 plus for a week and use the car for travel just up and down 7MB and to get me home after the clubs(btw, I do not drink alcohol so don't go there). I would LOVE to skip the rental car each trip and hop on a trolley car that would take me from hotel to the beach or shopping and stop clogging up West Bay Rd. with my car for a 5 minute trip. I would also love to jump in a taxi or bus (like in Bermuda, Vegas, Cancunetc.) to arrive back at the hotel at night without paying a fortune. I absolutely refuse to pay a day and a half of a rental car for one night home from a club ($40- plus tip). I am sure other tourists feel the same! If Cayman became creative there could be a ferry system even one on 7MB….one to Rum Point…..a trolley system that ran all night long and buses that ran further around the island. This is exactly what we need – you are SO correct. A functional traffic department could finance the entire annual RCIP budget and spare the people millions in needless outlay. When people are habitually sharing our roads at around 200mg, the problem is not whether the legal limit is 80 or 100mg. The problem is the complete lack of interdiction. If cops are consistantly visible at peak drinking hours, then citizens will need to review their habits and make alternative transportation arrangements. Visibility ofthe Police at these estabilishments with liquior is needed. More visibility of the police would bring control back to our Islands. Police need to be more community envolved. Driver Licenses MUST BE CONFISCATED and long jail sentences to SAVE LIVES! ie. some kind of regular enforcement (as opposed to seasonal) – AGREED. Nonsense. People DUI because a) they think they won't get caught and b) there is no reasonable alternative except staying home. Stiffer punishment will accomplish nothing. Neither will lowering the limit. The only thing that can be done is liberalising the taxi licensing system (including installing meters). Give people a viable alternative and they will take it. There are stories posted constantly about accidents involving alcohol. In this matter, you can lower your limit and really start cracking down! Save lives. Set up road checks on a regular basis. A quick chat with the driver will allow your officer to decide if they smell alcohol or seem impaired. You will save lives. 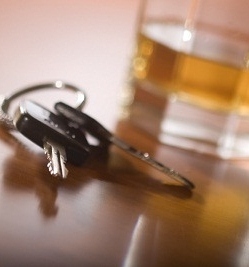 The law says if your driving is impaired by alcohol, the limit can be under 100 mls. If you are over 100 mls then it does not matter if your driving is impaired, you are deemed to be DUI. I think the law if fine as is, it is the police who needs to enforce it properly. As usual, the evidence is ignored by our legislators and our youth continue to die on the roads. DUIs are not age related – there are plenty of 60 year olds driving around hammered too! Youths (all around the world) will speed when they can get away with it. The problem with speeding, drinking and other roadway wrecklessness is that there appears to be no regular enforcement of the laws of the road. With regular visible Police interdiction people will smarten up and change their habits, lest they get nabbed. Currently the punishment is nil. Deaths due to raod accidents ARE age related. 19 April 2007 | Geneva – Road traffic crashes are the leading cause of death among young people between 10 and 24 years, according to a new report published by WHO. The report, Youth and Road Safety , says that nearly 400 000 young people under the age of 25 are killed in road traffic crashes every year. Millions more are injured or disabled. The vast majority of these deaths and injuries occur in low- and middle-income countries. The highest rates are found in Africa and the Middle East. Young people from economically disadvantaged backgrounds are at greatest risk in every country. Young males are at higher risk for road traffic fatalities than females in every age group under 25 years. I agree the stats show that kids will race (when they can) and some will die. There is often alcohol involved, but not always. The expectation that Police will be out in force will drastically lower this propensity just as it would for DUI drivers of all ages. In other words, the solution for both is obvious: more Traffic Officers, more of the time. According to this site, of the countries that have a limit, we are tied for the highest limit in the world. Amazing how many DUIs are still issued here and its insane to think how many go uncaught. I think its time to admit that this country has a very serious dysfunctional relationship with alcohol. How many drunk drivers are on the roads now? To lower the limit will be a wake up call to the country's drinking problem. This makes the relative leniency of his sentence all the more bizarre. Wow, it took SOOO long to realize that?? other reasons include…extortionate taxi fares and no public transport at night……. This is a BS excuse. You could carpool with a DD or make cab arrangements with your "regular" taxi driver. If it has never occured to you to adopt a "regular" cab driver, then perhaps you should become more introspective and analyse and acknowledge your regular weekend rituals. Every bar/restaurant upon request should have a supply of taxi card numbers – take one and find a favorite, keep the numbers in your cell phone on speed dial. Call them before you go out to see if they are working late. Plan ahead and enjoy your celebration without killing anyone. They are too expensive, too unreliable and charge what the hell they like. Bring in proper controls and a legal tariff for all taxis. Actually, of those nations or jurisdictions which have a limit established in law, Cayman’s is the highest not merely “one of the highest”. We accept driving with a level of intoxication that no other place in the world accepts. Disgraceful. I agree with Justice Williams. Let us lower the legal blood alcohol level. At the same time, can we do something about regulating taxi fares. Many people won't take a taxi home because the fares are exorbitant. This should be a superflous discussion. If you have just ONE drink you should get a taxi or a lift home from a friend. It's ignorant, irresponsible, and dangerous to drink (any amount) and drive — period. OK so the judge should speak to the Attorney General and have him change the law! since lives will be saved. The AG cannot change the law. The L.A. can change the law. Great! Just what we need, Judges, Lawyers and Politicians trying to "do science". The real issue is not some arbitrary number but the level of "impairment". If somebody rarely drinks and has a BAC of .5 they will be considerably more impaired than someone who drinks regulalry and has a BAC of.8. What if their BAC is only .2 but they have taken a couple of Benzos? What about the research that shows an overwhelming majority of people involved in alcohol related crashes resulting in injuries, have a history of other violent behaviours, such as domestic abuse? What about sleep deprivation or texting? I am not defending drinking and driving, but this issue is way more complex than simply adjusting a number by some random lawyer or politician. What we need to do is measure "impairment" effectively, no matter what the cause (and yes, it can be done). Why won’t they leave the booze hounds alone!? I agree with the Judge but the more effective way to reduce drunk driving would be to deregulate taxis so that there would be more of them on the road when they are needed by those who would use them if they could be found. It’s time to remove the Caymanian only restriction so that an organized company could hire anyone to drive a cab. Half the drivers are Jamaicans? This current government is more likely to raise the limit; substance over process or something like that, or sitting MLA's get a waiver for all minor crimes. Compared to other countries, the legal limit may indeed be too high however, is it really that the current bar is set too high or is it perhaps that as it seems the pre-set penalty bar is too low to make it function as a deterrent not to drink and drive? Obviously, nobody wants to die caused by a drunk driver but I do believe more people are killed or injured by non-alcohol related cases of reckless driving and/or speeding which we all know better of since this happens daily in plainsight, that is if you are not on a cell phone or similar crash causing device of course. Look at what happens when the rains set in, it's one after another crashing in to something. Perhaps it would be more worthwhile to publish the minimum pre-set penalties for each and every traffic related offence with associated levels of severity so people get the idea of what is in the legal store when they do something stupid whilst driving a vehicle of any kind. These penalties should be of such nature that it will surely make one think twice before driving with intent to do something illegal. Of course, last but not least, we do need an RCIPS that does the same leading by example but moreso enforce the laws as they are written today which as we all know is not happening too often. If they would at least ticket the daily morning rush still half a sleep crazies and speeders, not only would the roads be a lot safer but would fill the civil coffers to the brim, at least for a while until everybody wakes up. Yeah, like lowering the blood alcohol limit will do anything to stop or reduce drinking and driving. It hasn't worked in Europe or the United States so why does he expect that by imposing someone elses values on us that it will do anything to help. Please don't ask me to believe that there are only a few instances of driving under the influence in the countries used a guiding light examples. I believe that it is a problem in all countries regardless of efforts to deal with it by lowering the acceptable level of alcohol in the blood. Substance abuse problems need to be addressed by education starting at the primary school level and not in the jails or courts. That would be real education. But that requires political will. Speed limit signs are just as in effective at reducing speeding as the suggested remedy of lowering the blood alcohol level. 'Someone elses values', 'its our island', when are you going to grow up and join the 21st century. Stop reacting to sensible advice with the menatlity of a two year old. I am a firm believer in regular check points and a reduction in the level of alcohol permitted in the blood.. but all of which are after the fact measures in curbing drink driving.. Surely it is obvious that 99% of people are very reluctant to get a taxi especially if they have had relatively little to drink because they will be presented with a laminated piece of paper and charged $15 per person for a 1 or 2 mile jaunt up the road! Cayman needs to introduce meters on taxis! Also why not put on a night link bus which travels along the main corridors once every 40 mins and changes $5per head for whatever the distance? It works everywhere else in the world so why not here? Taxis aren't that expensive – that is BS. Agree about public buses. Not for Caymanians maybe, but tourists and expats get ripped off regularly. We need a regulated meter in all cabs that is set to a government tariff. Only 3rd world country's operate the current system and its open to abuse. This is an old argument that really needs to be addressed. Tests done in the USA many years ago (when the general limit, where there was one, was 100mg) showed that at the current Cayman Islands limit driving ability was severely impaired. I'm also sceptical about the 'about six beers' claim when the blood alcohol level was 173mg. In general most males can drink six standard beers before even hitting the 100mg level. Parts of the UK are about to reduce the limit to 50mg . But to change attitudes here real jail sentences are needed for everyone caught drink driving and much longer sentences imposed on those involved in accidents. The attitude of Caymanians to drink driving is a national disgrace. And it hasn't stopped it there either.